Let me start off by saying that there is nothing technical in today’s post! In fact, it is all about me – A bit of behind the scenes / get to know some things about me that I usually do not talk about. Well, today starts the a new Ultimate Blog Challenge – I am going to be writing 31 posts in 31 days. This has many benefits including attracting new visitors to the site. Since there are some new folks here, I thought I would tell you all a little bit about me – some things that even my friends may not know! Is there anything else to say at this point? I don’t think so. In that case… Without further adieu, here we go! I was born and raised in New York City at 79th and Broadway. I AM a New Yorker! I LOVE Apple, their computers, and the iPhone! I used to work there part-time for the sheer pleasure I received from working there. I did not care what they paid me (but it was nice to get paid). I am a night person, but recently, I have been fading fast and in bed by 1 am. I prepared for my MBA through one of the first Online Programs back in the 90s (people always thought it was a correspondence course at the time). I used to tell people I went to class from 10pm to 2am when my wife was sleeping. I had a blast when i went SkyDiving! It was only once, but it will not be the last time. I LOVE SCUBA diving. Any chance I can get, I will go diving. I used to compete in Triathlons – the longest one I completed was a 1/2 -ironman. I swam 1.2 miles, got out of the water and jumped on my bike and rode 56 miles, parked the bike and then ran a half marathon of 13.1 miles. I did this in just over 6.5 hours – in the world of competitive sports, this is not an impressive time, but I did complete it! I really like photography, especially with digital equipment. Expensive digital equipment. I enjoy investing in the stock market. It is fun AND profitable when you know what you are doing! My best friend from High School is still my best friend from High School. I am an X-Files Fan – the Truth Is Out There – and I find it hard to believe that it has been off the air (first run) for 10 years already! I recently sold the first house I bought and am in the process of buying a bigger, older one. I have a watch collection, although it has not grown much in the past few years. I think I have at least 5 iPods that each have a use. I have 2 physical computers set and a virtual computer up in my office at home. They each have a purpose. These do not include a couple of laptops that get used on a regular basis. I have a weekly Mastermind Call with 3 other people to discuss our goals, our plans, and our trials and tribulations. I have only met one of them in person so far. These calls started back in 2006! I love music and have a very extensive CD collection. I wear tie dye shirts! I run the local cable TV station – I am in charge of all the technical equipment and ensure it is all up and running smoothly. For the past year, I have been working out with Kettlebells! When I first started, I thought I would purchase my own 40 pound kettlebell to swing around at home – I thought that would be the most I would ever need. Today I am using the 100 pound kettlebell at the gym. I have yet to purchase a kettlebell to use at home! I was flying over the Atlantic Ocean with 2 friends in college and the aircraft lost an engine. The plane dropped in altitude quiet rapidly. When that happened, I had no regrets and my life did NOT pass before my eyes. I did, however, feel the need to put on my sneakers. I don’t know why! I have regretted not doing more for my mom when she was battling (and then passed away from) cancer. My father was a composer/conductor. He was the musical director for the Edge of Night, as well as the musical director fo the original games of Tic-Tac-Toe, Concentration, and others. As a child, I loved going into work with him and seeing the “phony stuff” – all the sets with the fake backdrops, the non-working telephones, and the doors that lead nowhere! I have been teaching something since the 5th grade. It started helping out helping with with the 1st graders and has progressed to teaching Graduate Level college courses. I also did some student teaching work over in London. Currently, I am teaching a Comp Sci course at a Community College. I love to teach. I have fun while I am doing. First time students do not know what to think of me! There you have it! 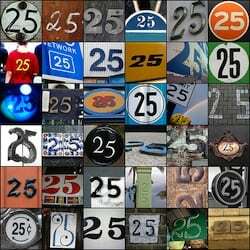 25 miscellaneous tidbits that you may not have known before reading this! Awesome! I fell in love the first time I was able to breath underwater! Nice to meet you too, Jackie! Welcome to the UBC, Paul. I just got my first smartphone (an iPhone) a couple of months ago. Know what inspired me? It was my 84 year old mother in law getting one. I look forward to more of your blog posts in the coming month. Wow, thought I was the only one with more than one iPod! I relate to the bit about triathlons, although I was “just” a bike racer back in the day. It’s very cool that you mastermind. That is one of the best things to do to ensure success. Enjoyed reading your post. Some say I have too many… But, each has a purpose! One was used just when I was training for the tris! What is 1 thing we get to know about you, Athena? I am a writer that seeks to inspire, uplift, give hope and make a difference. What else would you like to know Paul? Interesting! Nice to meet/learn about you Paul. Look forward to learning more about WordPress through your posts! Nice to ‘meet’ you too, Jackie! Lots will be posted about WP – any topics you want to see covered? It can be done, Jackie – but there are a few things to be careful of when doing that. Let me know when you are ready to switch it! What a great idea for starting off the challenge. No 22 made me laugh! Thanks, Dot! By the way – of my two friends traveling with me – one slept through the whole thing! Interesting list Paul. It’s always fun to see what we have in common with people. I AM also a NEW YORKER. I was born in Brooklyn, in the Flatbush area. Photography has been my favorite hobby since 1984 when I bought a Minolta with micro and macro lenses. I love doing close up work. I’m also a teacher and always have been and I imagine I will til the end. And I am a diehard X-Files fan. How weird is it that I saw every episode from the Pilot to the end in it’s original airing? Thanks for sharing those, Julia! I never knew that about you! I used to get Pizza and watch X-File – it was my little ritual. I did not enjoy the last couple seasons as much as the earlier ones – Without DD, it just was not the same! Love the idea of giving readers a glimpse into who YOU are in list form. Totally surprised by the 1/2 ironman competition — good for you! My brother competes in those, the ironmans and duathlons around the world — he amazes me and ANYONE who finishes these things is AWESOME in my book! I stopped at the 1/2 Ironman. Training for a full was just too much time for me! I can’t say it was because I was not dedicated enough, I just did not have the desire to put sooooo many hours into the training. I have many friends who have completed them – many of them. But, not me! Loved getting to know you better!!! Let’s see if my posts “make more sense” now that you have this insight, Kama! lol … I am sure they will make sense anyway. Have a fun day! Hi from another UBC person – this was interesting! I always love those “100 things about me” memes I see out there (and have two on my personal blog). I remember the music from “The Edge of Night” (how old am I? I’ll never tell!) – how cool that your dad composed it. Also: completing an Iron Man makes you amazing in my book. I cannot even wrap my head around it. Good on ya! I’ll be following along with you this month! Thanks, Lisa! I posted over on another one of my sites, All About Gratitude, about The Edge of Night! No ages will be revealed! I learned a few things I never would have guessed. One thing that does not surprise me is your love of teaching! Thanks, Robin! It runs deep inside of me! A quick question. What is the theme of your blog on wordpress? I asm going to assume you mean this theme… It is Thesis and then I played around with it! What a great list. You will never hear of me sky diving or scuba diving – hate hights and the water, I love to take pictures of nature and flowers, since having my now 1 yr old, I used to be a night person – now I’m lucky if I make it past 11. Now I have to check out the rest of your blog. Hi Michelle – Here is another tidbit for you.. I went to Rochester Institute of Technology! That is great. What did you take and what did you think of Rochester? I was a Comp Sci major and I got to love RaChaCha and the surrounding area! These are some very interesting things about you. I love apple as well. iPhones and Macbooks are my favorite. I am in agreement with you there, Bertha! I was eyeing the new MacBooks that recently came out! GREAT idea for a post! It’s great to learn stuff about you that wouldn’t be on a “standard” resume. And wow, so impressed by the 100 lb kettlebell workouts! You rock! Nice post. I don’t thing I could make a list of 25 things about myself that would be as interesting as yours. LOL – who says it is interesting! Thanks for the kind words, Diane! Start the list… see what you come up with! I bet you will surprise yourself! Hmmm – do NYers and photography go together? Super interesting! Loved getting to know all about you. I’m doing the blogging challenge too (might steal this idea)! Have a blast with it, Monick! Thanks for the comment, Sisi! I would not call me a thrill seeker, but it was on my list of things to do… so I jumped! Fun post! I’m with you on 10 – love photography and secretly dream about doing it professionally at some time (oh maybe there is #1 in my own 25 things list). I’m glad UBC introduced me to you. Nice to meet you, Amy! What kind of camera do you have? What a fun way to start the UBC, Paul. Makes me more anxious than ever to work with you on setting up my Word Press blog – ready for that next class to start! You rekindled great memeories of scuba diving – what’s been your favorite place? For me it was Belize. Mom was a die-hard Edge of NIght follower whcih meant we tuned in when we got home from school – haven’t thought of it in eons! Thanks for the memory. This is a great idea and made me like you even more! Thanks for the share.